A longtime Tennessee pastor recently made a public announcement that he is an atheist. 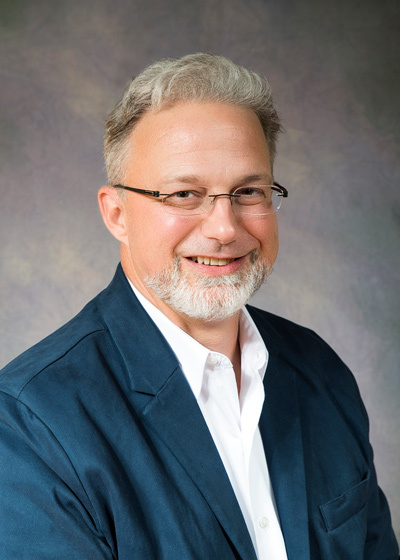 At the opening night of the Freedom From Religion Foundation's recent convention in Pittsburgh, Carter Warden, a former full-time pastor at Crossroads Christian Church in Gray, Tenn., and part-time music minister at Wesley Memorial United Methodist Church in Johnson City, Tenn., proclaimed his disbelief. "Freedom of thought is a wonderful thing!" Warden exults. "My hope is that my story will bring encouragement to other clergy trapped because of changing beliefs as well as all people who fear openly identifying themselves as secular." But as he read, Warden formed doubts after 20 years in the ministry. He began a period of research and introspection when he first started questioning his faith. Rather than resolving his questions, his intellectual journey only intensified them. "Instead of deepening my faith, my intense study left me no choice but to abandon my once precious faith," he said in his "coming out" speech. "I did not lose my faith, as though it was something that regrettably slipped away. Rather, I chose to discard it because it no longer made sense." "All of us nonbelieving clergy have our own reasons for remaining closeted," says Warden. "Many, like me, refrain from telling others because we do not want to hurt or embarrass family members and friends. Combine this with the financial stress of trying to change one's career in midstream and you can see why many learn to tough it out." But the burden of living an inauthentic life finally became too much. "I longed for the day when I could be completely honest and transparent about my journey from faith to reason," Warden says. "Finally being able to openly share my beliefs was so liberating that it truly is hard to put into words." At the conclusion of his talk, Warden, a musician, singer and songwriter shared an original freethought composition about his journey, bringing the crowd to its feet. He hopes that stories like his will provide a guide for others stuck in the same predicament. FFRF Co-President Dan Barker, a former minister and a co-founder of The Clergy Project, introduced Warden, who regaled the audience with a rewritten hymn following his speech, accompanied by Barker on the piano. 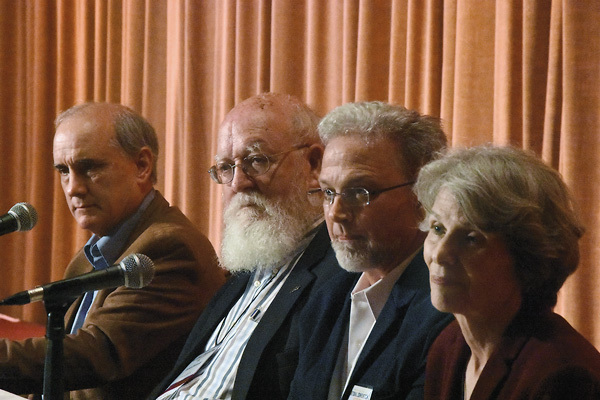 Barker, along with noted Tufts philosopher Daniel Dennett and Linda LaScola, co-author with Dennett of "Preachers Who Are Not Believers" and "Caught in the Pulpit," and a co-founder of The Clergy Project, joined Warden on a panel after his presentation. "Adam was clandestinely moonlighting as an atheist for too long," says Barker, author of several books, including "Godless," about his own loss of faith. "We're pleased he's free at last." The Freedom From Religion Foundation is a national organization dedicated to the separation of state and church, with more than 23,000 nonreligious members all over the country, including in Tennessee and Pennsylvania.